BACK ON THE MARKET!!! DEAL FELL THROUGH DUE TO BUYERS FINANCING. Absolutely beautiful, custom built townhome located right in the heart of South Redondo Beach!!! 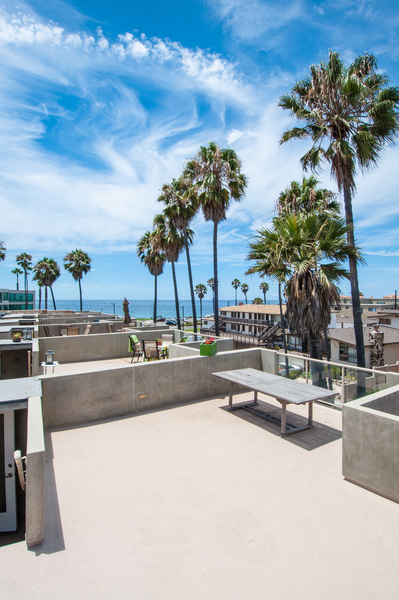 Just yards away from the Pacific Ocean and steps away from all the shops, restaurants and exhilaration that the "Hollywood Riviera" has to offer. This 4 bedroom, 3.5 bath home is perfect for entertaining with its open floor plan, ocean view rooftop deck and spacious balcony's. The showcase kitchen comes with granite counter tops, Kitchen Aid Architect appliances, custom cabinetry, center island and custom tile backsplash. Hardwood floors located throughout the main living area's and carpet in the bedrooms. A Large master bedroom (with ocean view balcony) combines with the spa styled master bathroom to create a sense of elegance felt throughout the home. Direct access 2 car garage provides ample space for addition storage. This home is truly a must see!! !